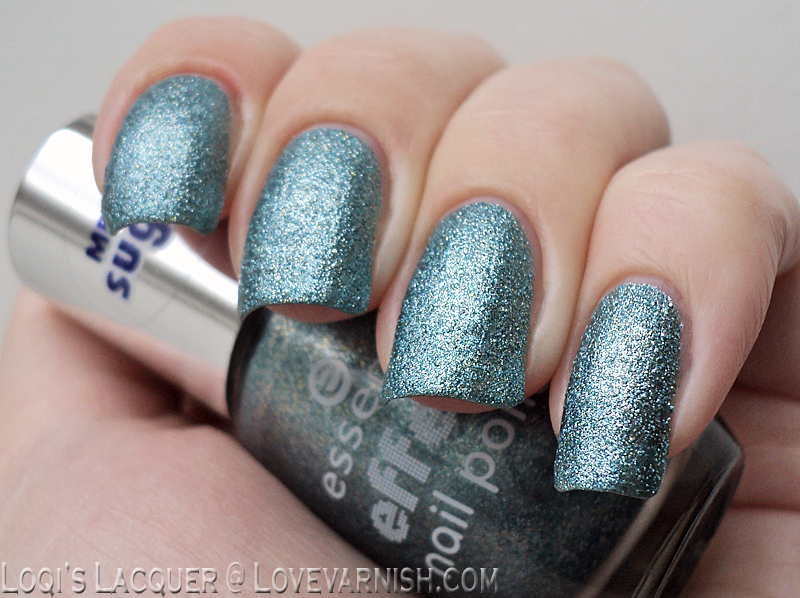 Love Varnish: Swatches & Review - 2 New Essence Sugar Polishes! First up is Blue-jeaned. 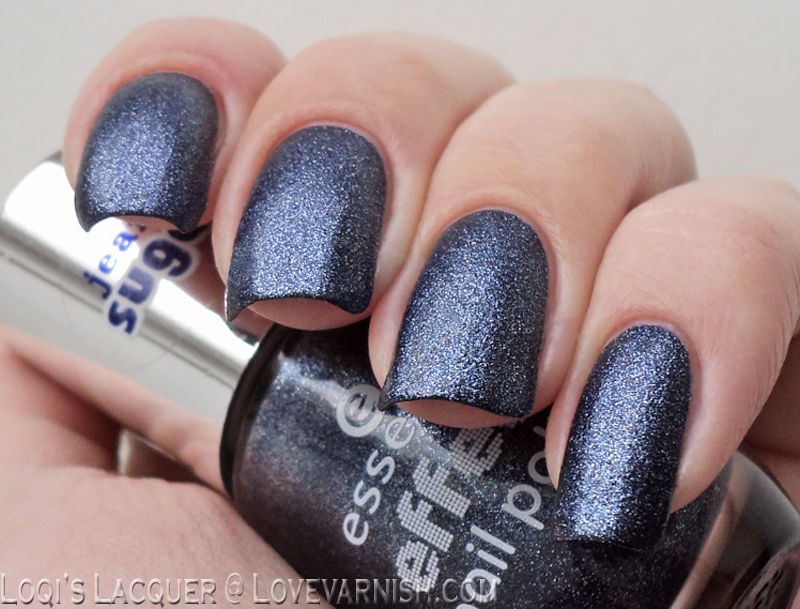 Essence has labelled this as a 'jeans sugar' polish, meaning it should be a textured polish with a jeans look. Well, the jeans look they got right: this is a lovely jeans blue colour, quite dark, but not blackened, with silver shimmer to give it a nice sheen, like a brand new pair of jeans. The texture part however, not so much because Blue-jeaned dries quite smooth. There is a little bit of texture going on, but I think this polish looks more like a suede than a texture polish. It is really quite lovely though. 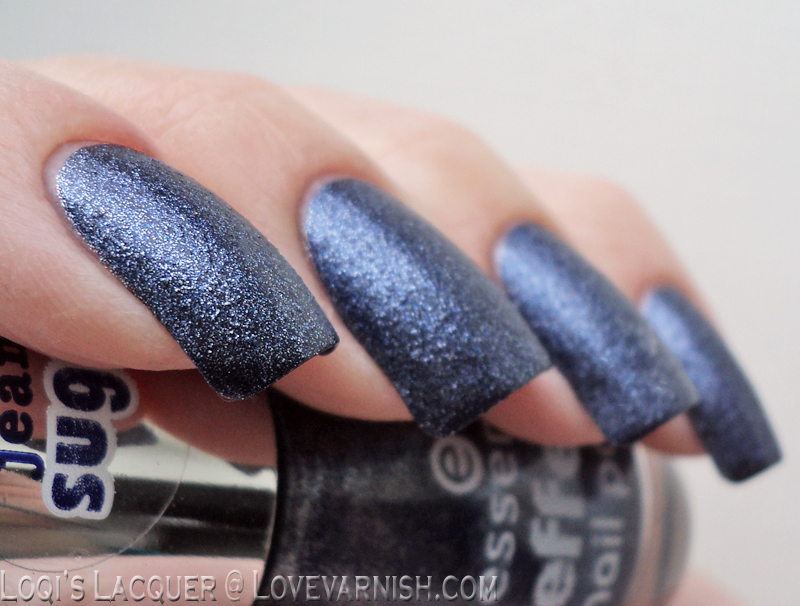 I really like suede polishes, so this one is right op my alley. The colour is really nice and application was great. If you are careful you could apply this in one coat! So if you are not looking for a true texture, be sure to pick this one up! 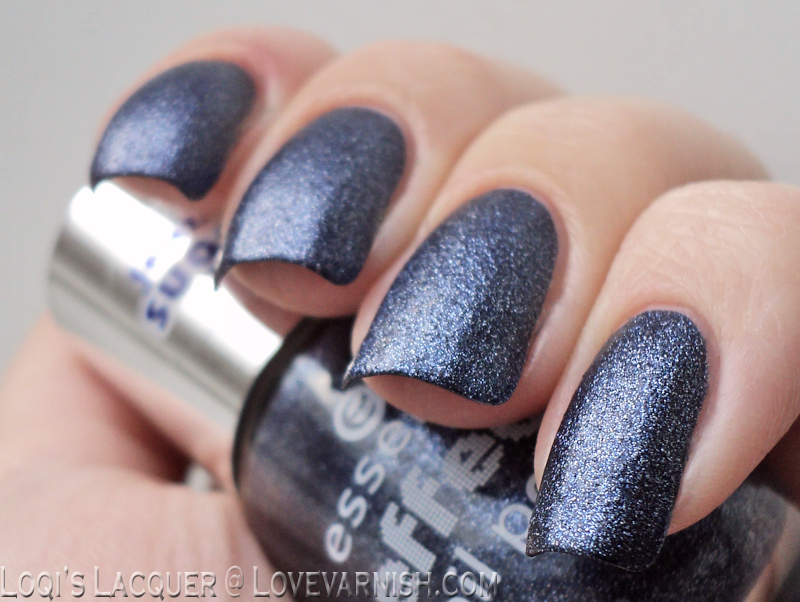 Second is Skyfall, the 'metal sugar' polish. 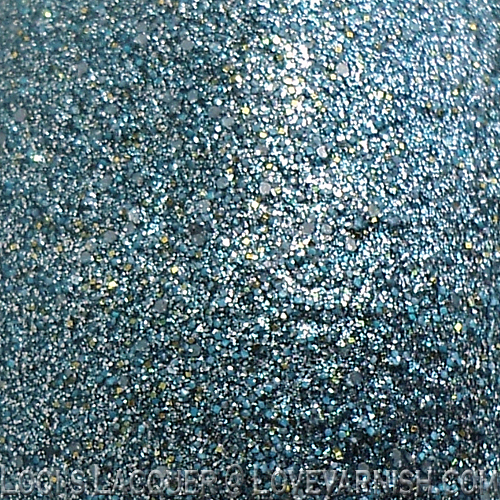 Skyfall is a light blue colour with silver and gold sparkle mixed in. 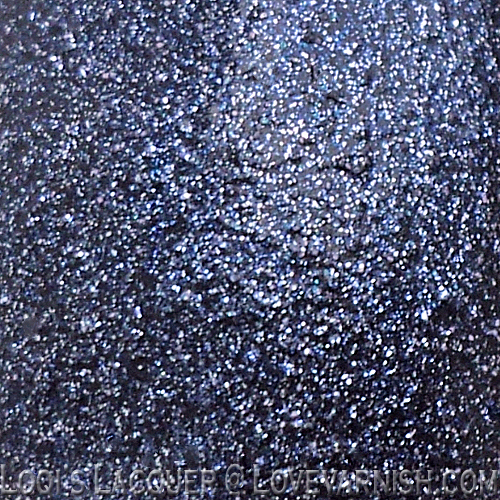 Now this one is a true texture, it's quite gritty but not too much. Like the older Essence textures, this one does not dry to a very matte finish, but it is advertised as a 'metal' polish, so that's not weird. I actually really enjoy how shiny and sparkly this one is. It does look like a metallic polish this way, very pretty! Application was good at 2 coats and I do believe this one dries a bit quicker than the older Essence textures. So what do you guys think? Will you pick these new ones up? Hope you like it and see you soon! LOVE both! and I don't mind that the first one is not textured, it's cool all the same. Could you please tell me what brush do these polishes have? A wide one like in the Colour&Go line? Sure I can :) These have the normal small brushes, not the flat wide ones. These are both gorgeous! I really with we got more Essence products around here. We have a limited display - which is great - but we miss out on a lot.